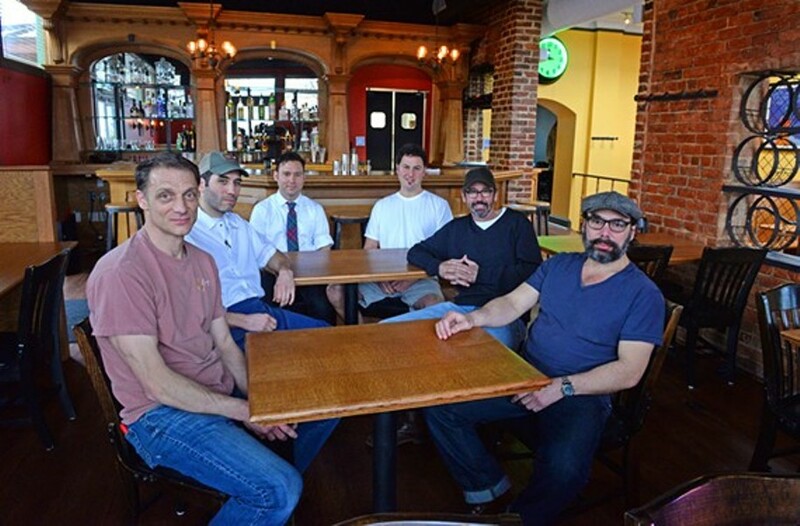 Scott Elmquist Justin Tingley, Aaron Cross, Arthur Grant, Billy Fallen, Tuffy Stone and Ed Vasio were the original team behind Rancho T.
Rancho T is closed for a revamp, says co-owner Tuffy Stone. 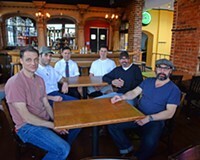 The spot took a hit when chef Aaron Cross left and the city rerouted traffic after a circle was installed where Floyd Avenue, Morris Street and Brunswick Avenue meet. Nonetheless, business has been tough since the beginning. “As much as I love Rancho T,” Stone says, “it just didn’t satisfy enough people.” The decision was a recent one, coming on the heels of three slow weeks of business, he says. New chef Danielle Goodreau devised a menu that differed from the Latin American-inspired one of Cross, in the hopes of attracting new customers. So Stone and Vasaio are taking a break in order to retool the menu, revamp the interior and change the name. Most important to Stone, though, is the assurance that Goodreau will remain in the kitchen. The story behind two Richmond food veterans' newest venture.